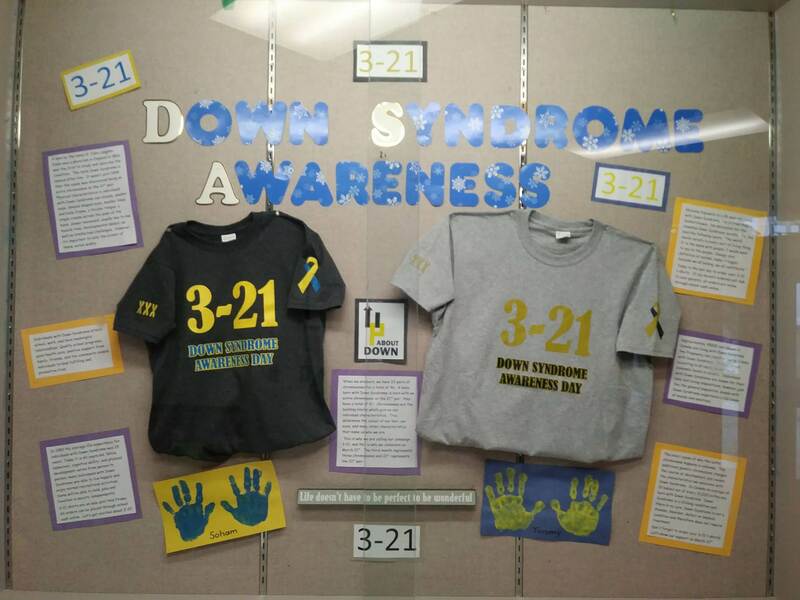 Tommy and Soham’s school, Kingsville Public School, has put up a display case for Down Syndrome Awareness. The t-shirts are for sale for $15 each on the school cash online site. Kingsville Public School is asking for the students to purchase a shirt and wear it on March 21 in support of World Down Syndrome Day. They are hoping to make a profit from selling the shirts to then donate to Up About Down. The boys teacher and DSW in their room have embraced World Down Syndrome Day and thought of making and selling shirts on their own, very touching!